It is reinforced with two lateral and two rear strong stays. 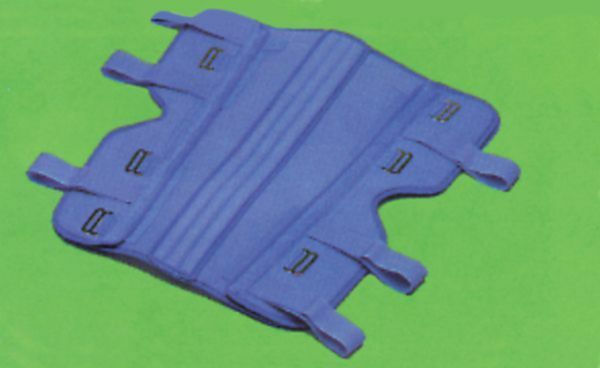 Brace made of soft, light and breatheable foam fabric. It is reinforced with two lateral and two rear strong stays. It is applied easily through 6 adhesive bands. Indications: Knee immobilization post traumatic, pre operational, during treatment of misloation and light contusions of the knee. Size: One universal size in different length: 30 cm - 35 cm - 40 cm - 50 cm - 60cm.